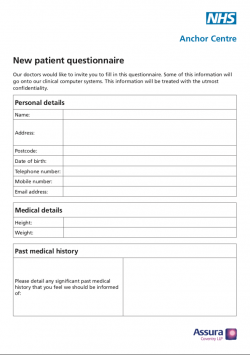 If you would like to register with the centre, please complete a patient registration form which is available to download below, or from our reception desk. 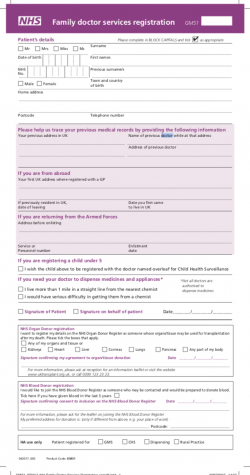 You will be registering with the centre rather than an individual GP. You have the right to see a GP within 48 hours, a healthcare professional within 24 hours, your choice of GP within seven days and a pre-booked appointment up to four weeks in advance. When you register you will be given a new patient check with the healthcare assistant. Once you have attended this appointment your registration will be complete. For further information about registering at the practice you can call 024 7652 7040 or ask at reception. You can obtain further information about GP surgeries in your area, the services they offer and opening times by calling the NHS Coventry Patient Advice and Liaison Service (PALS) on: 024 7624 6002.